Don’t miss a single moment from Mr. Olympia 2018 live stream! The 54th edition of Joe Weider’s Olympia Weekend will be held at the Las Vegas Convention Center between 13th – 16th of September. 2018 Olympia is highlighted by Phil Heath’s pursuit of the 8th consecutive title, a victory will tie the record set by both Lee Haney and Ronnie Coleman. The 212 champ Flex Lewis looking to end his 212 career with the 7th title win, and there is excited and packed Classic Physique division. The storylines don’t end there! If you can’t make it to Las Vegas, there’s some good news. 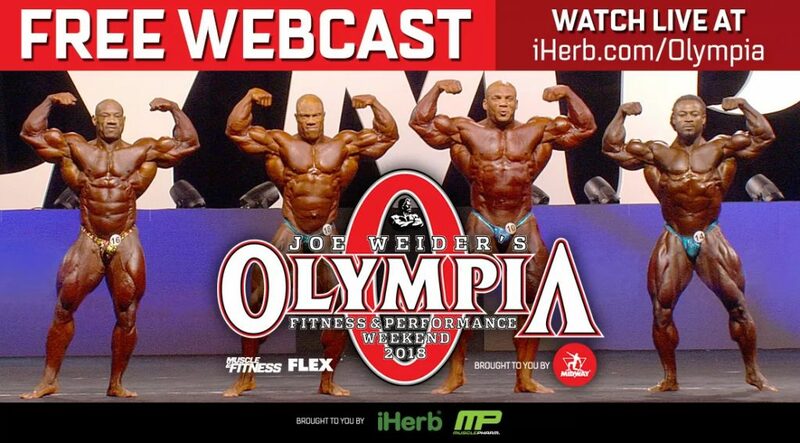 iHerb teamed up with the Olympia team to produce a LIVE streaming webcast, covering the Friday night and Saturday night main events. The event will be hosted by Dan Solomon and Shawn Ray. 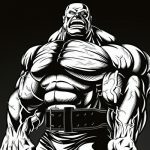 Mr. Olympia 2018 Live Stream! Thank you FitnessVolt.. will you show the live results here??? is there a way to watch live anywhere? or do you have to wait until tonight? There is nothing going on at this moment… the pre-judging and Fitness, Figure, Classic all start at night!!! is bikini prejudging being live streamed?